There is a tremendous amount to be said about all this, most of which isn’t good, but for the moment I want to focus on the effort to promote drugs for so-called “off-label” use. Under the 1938 Food, Drug, and Cosmetic Act (and subsequent amendments and laws), it is illegal for pharmaceutical companies to promote drugs for uses that are not approved by the FDA, or for the treatment of patients that are outside of the approved age range, or to promote the use of drugs at higher doses than for which they are approved. However, it is perfectly legal for physicians to prescribe drugs for any condition, to any patient population, and in any amount that they see fit. The result is that there is a tremendous incentive for companies to promote their products illegally: doing so expands the use of the product into the treatment of new conditions, and even if companies are forced to discontinue their efforts at a later date, the influence of the marketing campaign continues to shape prescription practice for years to come. Paxil, for example, was promoted by GlaxoSmithKline from the late 1990s through the mid-2000s for unapproved use in children. Despite widespread concern that the drug increases the risk of suicide in children, and the fact that the drug is still not approved for pediatric use, Paxil remains one of the most widely used antidepressants for the treatment of pediatric depression. Pharmaceutical companies use a variety of disturbing strategies to promote their products, including the use of “thought leaders” in the medical community to educate their peers about the usefulness of a company’s products. More troublesomely, ghostwriting appears to be widespread in the medical literature. David Healy, Carl Elliott, and others have drawn attention to the practice of drug companies writing scientific articles and then publishing the articles under the name of reputable physicians, often concealing their own role in the process. A significant amount of evidence exists for this practice, including case studies based on internal industry documents, investigative journalism, the testimony of former ghostwriters, and the revelations of practitioners who have been approached by industry to participate in the practice. Not surprisingly, the practice has attracted a substantial amount of critique. “Ghost writing initiated by industry is a big concern,” notes Robert Fletcher, professor emeritus at Harvard Medical School and chair of the editorial policy board of the World Association of Medical Editors. “When it is undetected, it distorts the scientific record, substituting marketing and persuasion for the balanced exchange of views and the search for sound answers that characterize the contents of medical journals at their best.” The concern here is clear: ghostwriting is widely assumed to distort the scientific process toward the goals of corporate profit. It is widely considered unscientific, unethical, and even dangerous to the health of the public. I want you out there every day selling Neurontin….We all know Neurontin is not growing [as an] adjunctive therapy, beside that is not where the money is. Pain management, now that’s money. Monotherapy, that’s money…We don’t want to share these patients with everyone, we want them on Neurontin only. We want their whole drug budget, not a quarter, not half, the whole thing….we can’t wait for them to ask, we need to get out there and tell them out front. Dinner programs, CME [continuing medical education] programs, consultations, all work great, but don’t forget one-on-one. That’s where we need to be, holding their hand whispering in their ear, Neurontin for pain, Neurontin for monotherapy, Neurontin for everything….I don’t want to see a single patient coming off Neurontin before they’ve been up to aat least 4,800 milligrams a day…I don’t want to hear that safety crap either; have you tried Neurontin? Every one of you should take one just to see there is nothing; it’s a great drug. Parke-Davis’s promotional strategy was tremendously successful. By 2003, total sales for Neurontin had grown to at least $2.3 billion – 94% of which were for off-label use. The company’s sales agents had clearly gotten the message. This should make anyone pause. Over the past decade, critics have increasingly decried ghostwriting, seeding-trials, and other such practices as simultaneously unethical, corrosive to the scientific process, and a danger to the health of the public. “The biomedical enterprise depends on good science for its foundation, and good science requires transparency of methods and integrity of purpose,” notes physician G. Caleb Alexander in a recent commentary published in the Archives of Internal Medicine about the STEPS trial. Alexander notes that “industry plays a major role in supporting biomedical science,” that “support for clinical research is essential,” but also that “commercial bias may be introduced in a variety of ways,” such as through “nonpublication of negative findings” and “aggressive marketing.” Alexander is not alone in his arguments. Ghostwriting, seeding trials, and other such practices seem to undermine the practice of good science, and as the volume of critique directed against the industry has grown so to have calls for reform. Not surprisingly, Neurontin figures prominently in these critiques – indeed, it is probably the single most widely cited case of industry malfeasance to have yet come to light. Important progress has been made in addressing these problems, such as recent legislation mandating that reports of all clinical trials be published on a new FDA website, ClinicalTrials.gov, within one year of the completion of the study. Such efforts at reform should be applauded, and extended. Yet there is also an important way in which the criticisms leveled against the industry miss a deeper issue. We do not know how much of the scientific literature about Neurontin was written by ghostwriters working for Parke-Davis, nor do we know how much of it violated norms of scientific practice. However, let us assume, for the moment, that all the research that went into all the ghostwritten articles was conducted in a scientifically rigorous manner; let us also imagine that the authorship of all such articles was revealed. Would the problem of “commercial bias,” as Alexander puts it, really then be eliminated? Would our scientific knowledge about Neurontin be rendered, in some sense, pure? I’m not so sure. Critics since the 1970s have pointed to the process through which increasing domains of life are understood through the framework of disease and rendered suitable for therapeutic intervention. More recently, historians and other scholars have begun to suggest that the impact of the drug industry on biomedical knowledge cannot be limited to a framework which understands medical science as somehow distinct from, or corrupted by, the operations of the market. Pharmaceutical innovation, according to this line of argument, has shaped the very nature of diagnostic categories and the definition of disease itself. Since the end of World War II, biomedicine has expanded its domain from the treatment of acute conditions to the daily management of chronic disease, from the treatment of visible symptoms to the reduction of risk, from problems of the body to difficulties in psychological and social processes; it has occupied and transformed a vast number of realms previously outside its reach, including the control of reproduction, the medicalization and management of deviant behavior, and the optimization of our future selves. Increasingly, we understand ourselves and the world in which we live through the lens of the biomedical sciences; through the language of genes and brain mechanisms, through the identity of the patient or victim of a disease, through our efforts to understand, extend, or resist the expansion of medicine and its allied sciences. There is a type of inflationary pressure here, one in which the biomedical research enterprise continuously expands the definition of illness. This is not the creation of “myths,” and it is not exactly “disease mongering” – a pejorative term for what I am describing that imputes malevolent motives on the people involved in the effort to heal. Rather, it is the expansion and transformation of disease categories through the linked processes of capital accumulation, scientific progress, and the articulation of health and suffering. I do not want to downplay the dangers of ghostwriting, seeding trials, and other relatively crude efforts to harness the creation and distribution of biomedical knowledge to commercial ends. These are, in my view, dangerous practices that should be eliminated. Yet the problem of such obviously offensive practices, and the problem of off-label marketing of which they are a part, is only one part of a much larger question. Even if all science practiced by pharmaceutical firms was conducted in a scientifically rigorous manner, and even if all data was publically available, all conflicts of interest revealed, all drug advertising tightly regulated, all free lunches banned – even then, I suspect, diagnostic categories would continue to grow and markets for new drug technologies would continue to expand. The problem of disease inflation is not just one of the corporate drive for profit, though it is that; it is not just a question of medical expertise being corrupted by commercial motives, though it is that. Disease inflation results from the fundamental fact that medical science has become tightly wed to the means of accumulating profit – financial, professional, social – and that both medical science and the accumulation of profit have become deeply wed to the act of healing. The person who discovers a new cure for a previously intractable problem is deeply rewarded, and not just with wealth – and who would want it to be otherwise? We want new diseases to be discovered, new cures invented, new technologies deployed to help the suffering. Right? Perhaps, but perhaps not. The GlaxoSmithKline settlement points to a clear problem in how the biomedical enterprise is currently organized. Drug companies should obviously not be pushing their products for the treatment of conditions for which they are not approved. Nor should they be secretly generating medical articles and presenting them as if they were produced according to the norms of the scientific community. This much seems obvious. Yet what are we to do about the fact that the more we understand it, the more it seems as if the biomedical enterprise is dedicated not only to healing our ills but, in an odd way, making us understand ourselves as sick in new and increasingly complex ways? The problem of disease inflation forces us to ask more fundamental questions than simply how to protect science from the dangers of corruption. It forces us to ask ourselves what the goals of medicine actually are, and whether or not there is a point at which the effort to heal becomes its opposite. I realize it’s beside your point, but what happens to the money collected in fines? Good question. I assume – and hope – that some of it goes to the whistle blowers in the case, but other than that I don’t know the answer. Maybe one of our readers knows about such things….? This also may be besides your point, but what happens to the paid academic physicians who agree to be listed as authors of these articles? Great question. As far as I know, not much. In 2009 the Institute of Medicine recommended that academic institutions institute policies against ghostwriting. Some have started doing so – in a 2010 article published in PLOS Medicine, Jeffrey Lacasse and Jonathan Leo found that 10 out of 50 academic institutions they surveyed had some kind of policy prohibiting the practice. More may have been put in place since then. I don’t know if there have actually been any institutional actions taken against anyone based on these policies, but my guess is probably not. Also, in defense of people who might be involved in this sort of thing, it is not always clear what constitutes “authorship” and what does not. Its a complicated topic, and while I support policies prohibiting ghostwriting I also think we need to be careful about defining what it is and thinking about how the process of scientific and scholarly writing actually takes place. The last thing we want to do is enact prohibitions that stifle or undermine the scientific process. This is a brilliant piece, beautifully articulated. It deserves wider circulation. Most of the points have been raised before, but this article pulls them together better than any other critique of big pharma and medical imperialism that I have seen. Has this or will this appear in published form elsewhere? Thanks! This hasn’t appeared anywhere else, but I’ve been thinking about revising it and submitting it somewhere. If you have suggestions on an appropriate venue I’d be interested in hearing them. I second Craig; this is a really nice explanation of a complex issue. I wonder if there’s a place to think about the role of consumers as well. We have, after all, become increasingly involved in pushing for access thanks, in large part, to ACT UP. Now, I wonder if arguments for something like “compassionate use” have been in some way co-opted by big pharma as another marketing strategy? 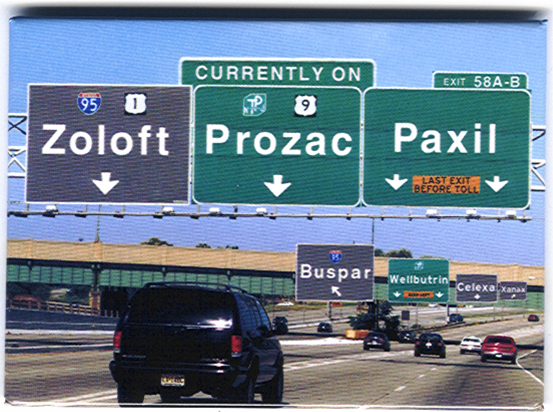 It would be good to remember that Pfizer is way ahead of us on this. Parke-Davis, a subsidiary of Pfizer, did get in trouble for marketing Neurontin/gabapentin for chronic pain (among other things). They did not do the studies to support the indication because the patent was soon to expire and studies take time. Instead, Pfizer came out with a pro-drug of gabapentin, pregabalin or Lyrica. Studies were submitted to the FDA supporting the superiority of pregabalin over placebo for chronic pain including fibromyalgia, but there was no obligation to show that it was superior to gabapentin. So company reps can righteously point out to doctors that, if they use generic gabapentin for chronic pain, they are using it off-label. But the brand-only option, Lyrica, is FDA approved. All of this is above board, unfortunately. Alexine and Laura both make very good points. Consumers are definitely part of the story here, with advocacy groups, grass roots organizing, and other expressions of the consumer’s movement being one of the driving forces for how problems get identified and solutions marketed. I think this is an important area to focus on because it complicates the medicalization framework and the idea that drug promotion / marketing is somehow always a negative – a tendency that critics of Big Pharma frequently fall into. Laura’s point about the role of patent issues is also very important – If I understand it properly, Warner-Lambert (which controlled Parke-Davis at the time) obtained a patent on the gabapentin molecule in 1977, and on the use of gabapentin in epilepsy in 1979; the patent on the molecule expired in 1994, while the patent on its use in epilepsy was originally set to expire in 1995. In other words, the original patent on the gabapentin molecule expired the same year that the FDA approved the drug’s use in the treatment of epilepsy, and at that point the company expected the patent on its medical use to expire the following year. Warner-Lambert managed to extend the patent life covering the use of treatment for epilepsy up until 2000; the company also secured a number of additional patents on modifications of the molecule, medical use in other conditions, and – in 2000 – a patent on a manufacturing process that the company claimed made the drug safer. (Pfizer acquired Warner-Lambert, and P-D with it, in 2000). According to David Franklin, however, one of the main reasons that Parke-Davis undertook its illegal promotional campaign was that the company had decided that it would be “uneconomical” to “assume the expense and time” necessary to prove that the drug was safe and effective for other conditions; since the product had already gone off its product patent, generic manufacturers would, as Franklin put it, “reap much of the reward of proving Neurontin could be safely used for other indications.” So yes, patent issues and the competitive relationship with generic manufacturers were central to this process. Thanks for the thoughtful and supportive comments. Also, I should add, if anyone sees any mistakes in anything I have been saying here please do let me know. What an excellent post. Bravo! I have often felt that all the scandalous goings on of the pharmaceutical industry function as a target for our righteous anger while serving as distractions from the underlying issues you write about here. Not that this is done intentionally, of course, but it just happens to serve that purpose. I highly recommend the article ‘Corporate Science and the Husbandry of Scientific and Medical Knowledge by the Pharmaceutical Industry’ (http://bit.ly/Ota7pm PDF) by Alastair Matheson, especially the ‘Discussion’ at the end on Kuhn, normative science, pharma and scientific knowledge, and biopower. Hi Jan – thanks for the recommendation; that’s a very good article. And thanks for the tweets! Excellent overview of disease inflation here, Joseph. The practice of “harnessing the creation and distribution of biomedical knowledge to commercial ends” seems to require many friendly co-conspirators to pull off – like the medical communication firms who write/submit industry-funded papers, or the medical journal editors who accept them. Their conclusions? Activities traditionally considered independent of promotional intent, including continuing medical education and research, were “extensively used to promote gabapentin”. As a patient living with a serious and chronic disease who now takes a fistful of drugs each morning, this kind of ‘marketing-based medicine’ is distressing indeed. I have no clue, for example, which of the meds I take are prescribed for me based on flawed research or tainted journal articles. Worse, neither do my doctors. The commentators have it right — this is a brilliant post and should absolutely be written up and published in a peer reviewed forum (which is not to denigrate blogging as one such forum). You’ve gone beyond even some of the very sophisticated criticisms of COIs here. I think you know, but in case not, I was raised in an academic medical family, and have been around the pharmaceutical industry for most of my life. I practiced mass tort defense, a large portion of which was complex pharmaceutical litigation, and then you know I was trained by Howard, so I have some strong views on this issue! But in part because I spend so much time working on and thinking about public and population health, I think the most nefarious consequence of the alliances that enable the construction of disease categories in ways most consistent with capital is precisely that it pharmaceuticalizes health. Most people, even most people aware of the pernicious effects of the relationships you document so ably here, do not understand that brand-drug companies actually do not mind when a competitor drug in the same class is marketed and sold. This is because of the well-documented phenomenon that when one drug in a class sells well, there is a pull-up effect; the others will eventually realize a gain in sale and market share as well. So I guess my point is that the unholy alliances of which you write are not bad simply because of the very real evils of disease-mongering; much worse is the perpetuity of the idea that health, illness, pathology, ‘normalcy,’ etc. is simply a function of the products which the pharmaceutical industry provides. And this is to say nothing about the tangible role that the industry plays in structuring the political economies that so powerfully determine health and its distribution. But again — the next conversation! Okay, I’ve ranted enough — but the post inspired me! I’m sure you need no assistance, but I can think of a few journals offhand which would be lucky to have a piece like the one you’ve written here. Feel free to email me if you’d like to discuss. Hi Daniel – Thanks for the extremely thoughtful comment. In many ways, I agree with this completely. Where I disagree, I think, is when you characterize the relationship between corporate capital and drug manufacturing as “unholy” – that is, as something that is by definition unethical and profane. My problem with this is that this is the world we live in, and in my view adopting this type of rhetorical strategy has a tendency to marginalize the ability of critics to make effective change in the world as it is. I tend to think that our goal should be to reform practices we find objectionable rather than dismissing them outright as a function of the supposed evil nature of corporate capitalism itself; i.e, we should work to bring corporations into the domain of ethical actors rather than exclude them through rhetorical strategies of marginalization. Anyway, that’s a historiographical argument as much as it is a comment on rhetorical positioning vis-a-vis contemporary corporate markets; on this, see James Livingston, Pragmatism, Feminism, and Democracty: Rethinking the Politics of American History (2001). Mmm. I wouldn’t say it is by definition unethical and profane, but I would say it is in fact unethical and profane. Reforming practices is one thing; but if the political economies that concern me are structurally unjust, than one should seek to change those structures at a high level. Given those structures, I am dubious at the capacity to bring corporations into the domain of ethical actors; even if we are able to do so in some cases (which I concede), insofar as those acts leave the larger structures of political economies untouched, they’re ethically insufficient, IMO. But, of course, I’m a gleeful and unapologetic Marxist, so I would naturally tend to think such things! What happens to the money collected in fines? Isn’t it spent by the government? It is not distributed to victims. Government takes a slice of the profits of illegal operations. The fines are low enough that the business keeps operating and nobody goes to jail.